Tickets for Celebrate the 80s and 90s with the Hoff in Italy, Slovakia, Belgium, Hungary, Croatia and The Netherlands are now on sale. Tickets for the show in France will be coming shortly. You can book your tickets for each show either through an application on our Facebook page https://www.facebook.com/celebrate80s90s or directly here on the website at http://www.celebrate80s90s.com/tickets/. 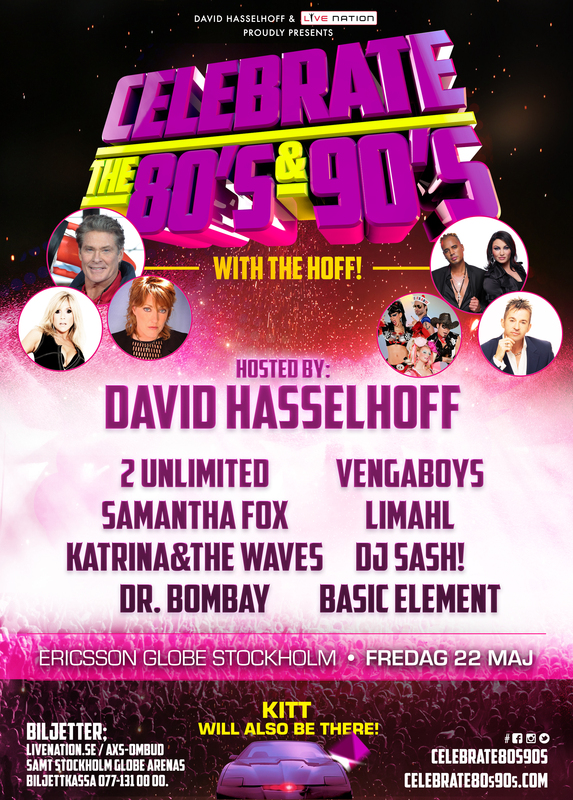 To check out the line up for each country visit our Tour tab on the website and choose the country you are interested in http://www.celebrate80s90s.com/tour. The doors open at 18.00h (6pm) and the show starts at 20.30h (8.30pm). If you have any other questions, don’t hesitate to contact us through our website or Facebook page.